Christmas is fast approaching ( I know! Where did that year go?) It’s the end of term and time for teachers to have a well-earned break. I can’t bear to get involved in all of that competitive gift-giving – it really does bring the worst out in some folks – but I do like to show our appreciation for all the extra time and work those hardworking teachers put in. No pressure here. Something small and handmade usually does the trick. We’ve made cookies, we made soap… we like to keep it varied. 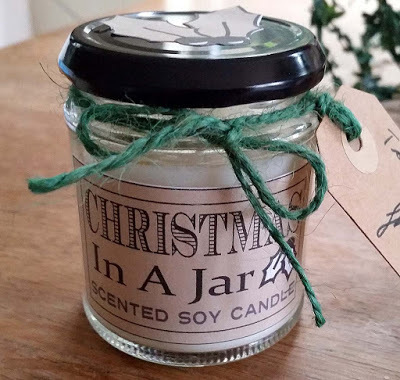 I’d never done it properly before, but I knew that I wanted to use soy wax. I’m told that soy candles are cleaner burning, longer lasting, biodegradable, and leave no nasty grey residue. I found a great little tutorial here on Clare K Creations. Thanks for sharing this Clare. 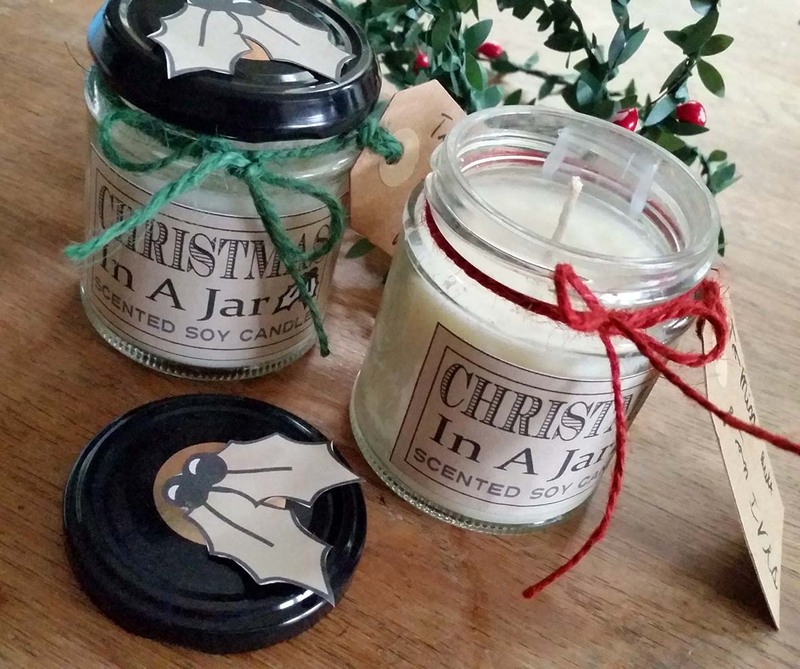 At this time of year it just has to be those seasonal scents that instantly conjure up Christmas. Soooo…. Out came the Sweet Orange, Bitter Orange, Cinnamon, Frankincense, Ginger and Clove essential oils. Decorating it can be as simple or as elaborate as you want. 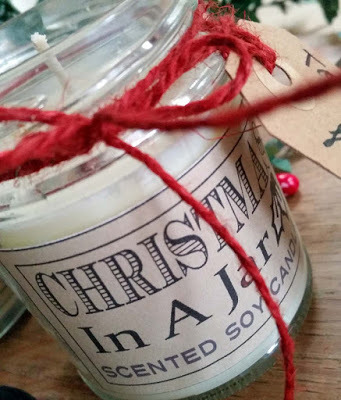 If you’re a little stumped for some last minute christmas pressies, have some old condiment jars lying around and can get hold of some soy wax pellets and essential oils, there’s still time – have a go! It’s not difficult, it’s inexpensive and if you like making stuff – great fun.